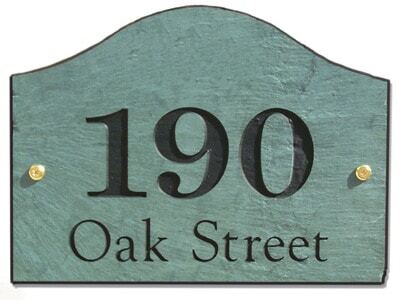 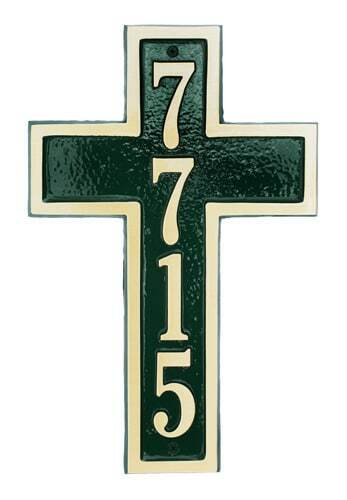 Solid Brass Cross Shaped address plaque, shown in forest green, are hand crafted in the USA and are made from the finest materials on the market. 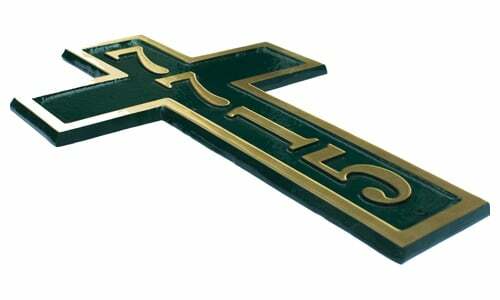 Each of the Solid Brass Cross Shaped Address Plaques are made with pride from start to finish by the same skilled craftsmen in order to achieve a quality that is unmatched in the industry. 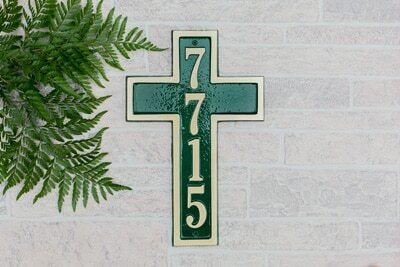 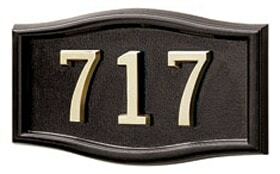 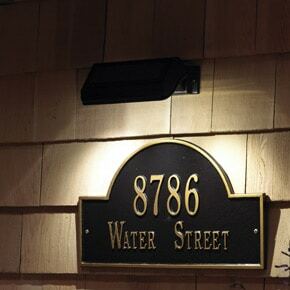 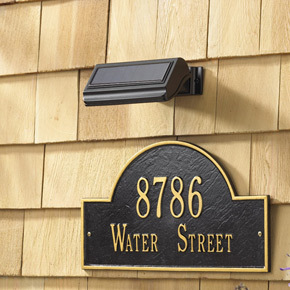 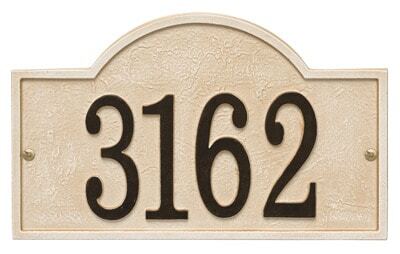 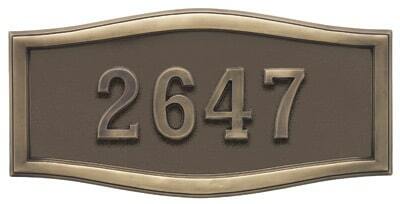 The Cross Shaped Solid Brass Address Plaque holds up to four 3″ characters.